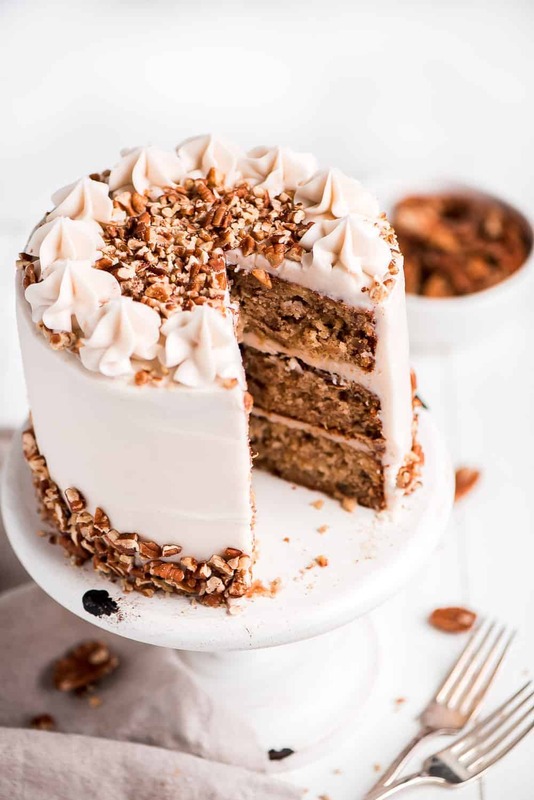 This classic southern Hummingbird Cake is to die for! 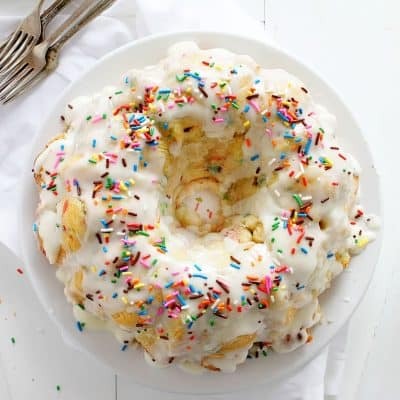 It has a flavorful light and moist crumb full of bananas, cinnamon, and pineapple, all surrounded in a smooth cream cheese frosting. The decoration is simple but elegant. Sure to be a family favorite! 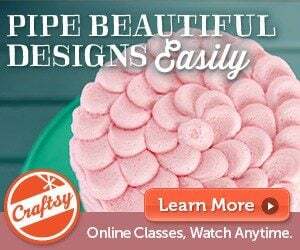 You might also want to check out my other cake recipes if you love to decorate as much as I do! Oh boy! If you have not tried Humming Bird Cake before, you have been missing out! This cake is so incredibly moist and has such great flavor. The flavor is kind of a cross between a banana cake and carrot cake… but there are no carrots and raisins. 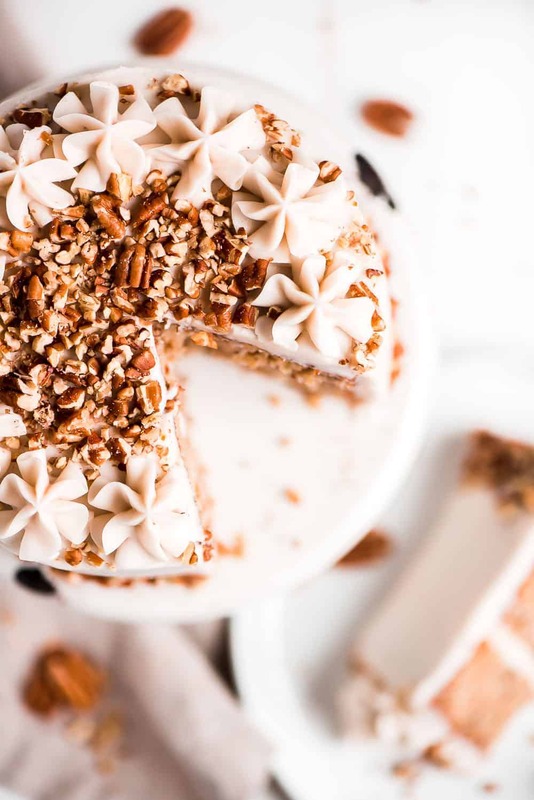 What is a Hummingbird Cake? 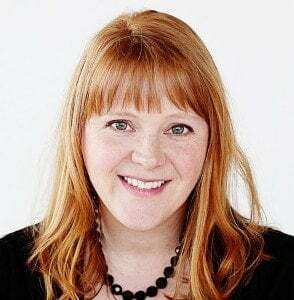 Mrs. L.H. 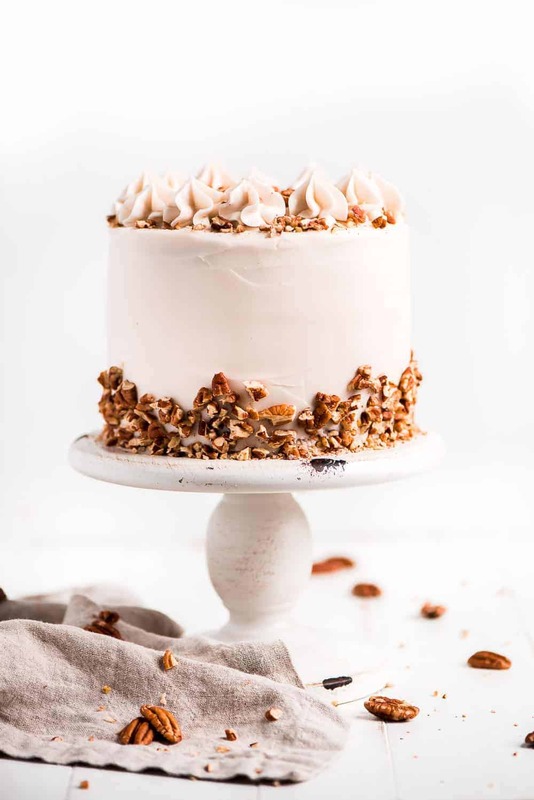 Wiggins is reportedly the first to create a layered version of what we know as a Hummingbird Cake, but she didn’t originate the cake. Apparently, it started out being called a “Doctor Bird Cake” and then went by the nickname of “doctorbird cake”. That cake was made in a tube pan and had no frosting. The pineapples weren’t drained and the bananas were diced, not mashed. 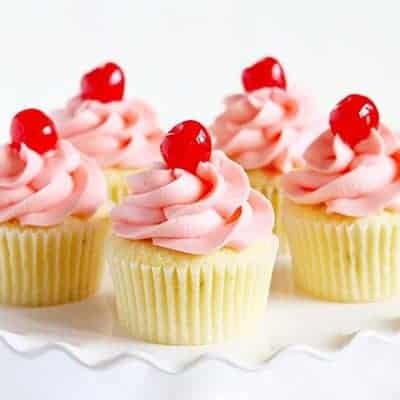 That sounds interesting but I do love the modern addition of cream cheese frosting! 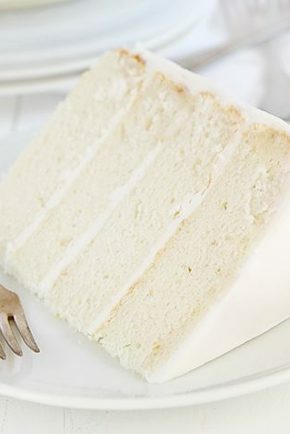 This cake is so incredibly light and moist. How does it get that way? Let me tell ya! Oil. 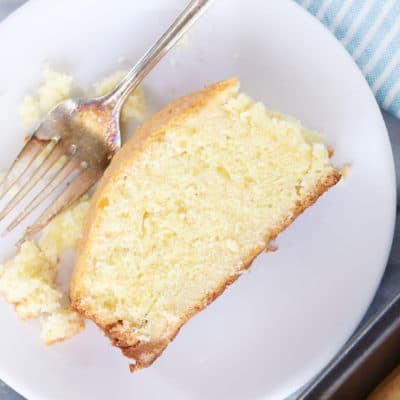 As much as I love butter, some of my favorite moist fluffy cakes actually call for oil. The flavor of this Hummingbird Cake is quite possibly the best part. This cake contains cinnamon, bananas, and pineapple which sounds weird in a cake, but it’s so good! Like this cake, I actually use crushed pineapple in my Caramel Pecan Carrot Cupcakes which are to die for. You’ll first start out with preparing your pans. Grease the bottom and sides with shortening and then flour. I also recommend lining the bottom with parchment paper for easy removal. Begin making the batter. The great part is that there is no special equipment needed. 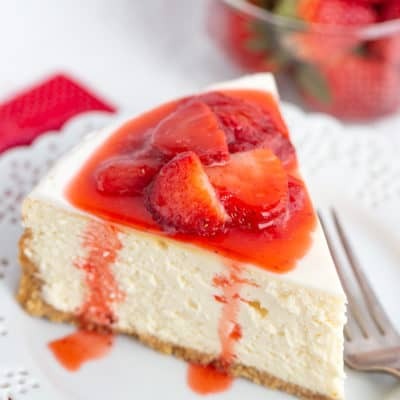 Just mix the dry ingredients together by hand and then whisk in all the liquid ingredients. Pour your batter into 3 six inch pans and then bake. Let the cakes cool in the pans on a cooling rack for 5 minutes and then flip out and allow to cool completely. Once the cakes are cool you can just them so they are level. 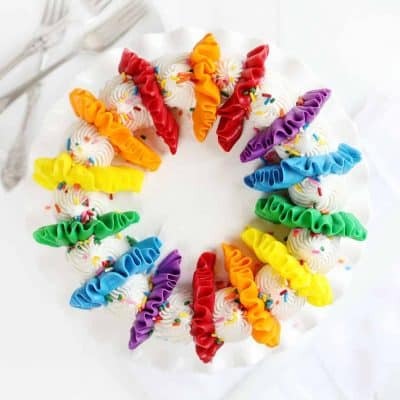 At this point, you can start to assemble your cake or you can wrap each cake layer up in plastic wrap and freeze them until ready to assemble. I have found that it’s actually easier to assemble a cake when the layers are frozen. 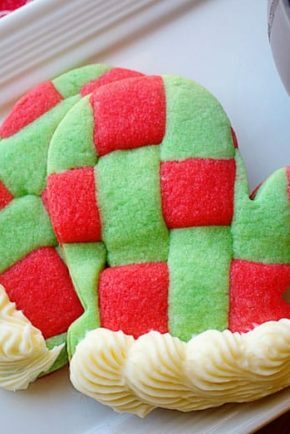 Apply an even layer of frosting between each cake layer and then apply a crumb coat and place in the fridge for 15-30 minutes before frosting. Pipe some more frosting on top and then sprinkle toasted pecans on top and the bottom sides of the cake. Because this cake has cream cheese frosting, it needs to be refrigerated. Just set it out 30-60 minutes before slicing and serving. Enjoy! 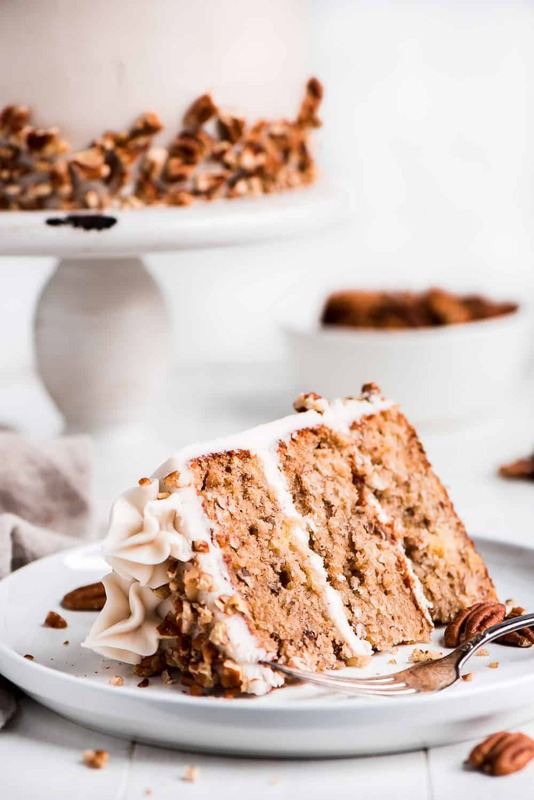 This classic southern Hummingbird Cake it has a moist crumb full of bananas, cinnamon, and pineapple, all surrounded in a smooth cream cheese frosting. Preheat oven to 350°F. Grease three 6-inch pans with shortening and then flour. Line bottoms with parchment paper. Add in the canola, eggs, banana, crushed pineapple, and vanilla. Stir until combined. Mix in the pecans. Place the cake pans on a cooling rack for 5 minutes and then remove cakes from pans. Allow to cool completely. If needed, cut the tops off the cakes if they aren't flat. Wrap each layer in plastic wrap and place in the freezer. 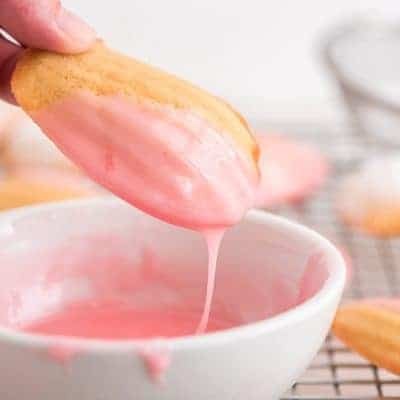 In the bowl of an electric mixer fitted with the paddle attachment, beat butter and cream cheese together until smooth. Add the vanilla and powdered sugar and begin beating on low. Increase speed and beat for about 3 minutes until smooth and fluffy. To get air pockets out, turn down to the stir setting and let it run for 3-5 minutes. 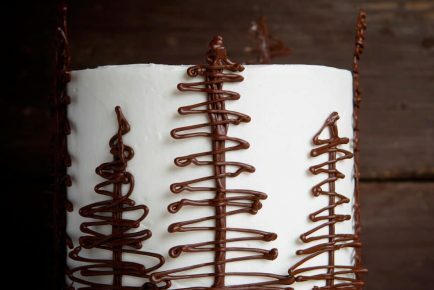 Apply frosting to cooled cake. 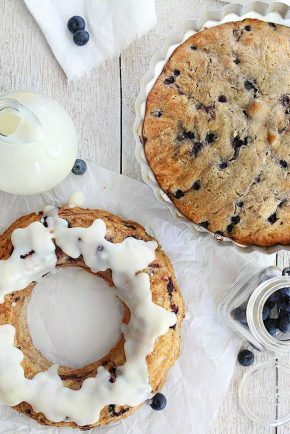 Assemble cake by placing one layer on a cake stand. 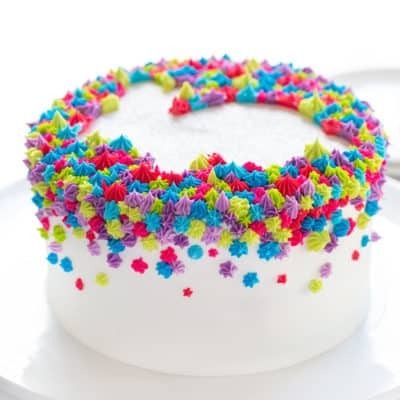 Apply one even layer of frosting and repeat with remaining cake layers. 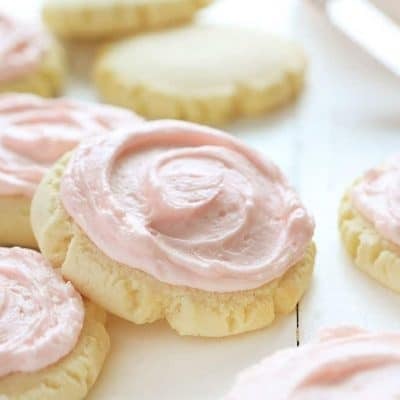 Apply a thin crumb coat and chill for 15-30 minutes. Frost the sides (the final, beauty coat of frosting) and top of the cake. Sprinkle the top with toasted pecans and press some into the sides of the cake. Chill the cake until ready to eat. 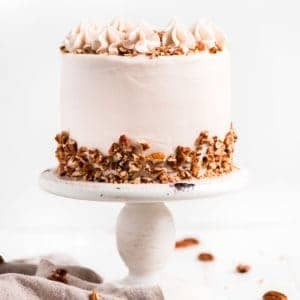 Could this be done without the pecans or would that mess up the consistency? I’d like to make this for a larger crowd (14 or so). Have you ever doubled it and put it in larger pans? 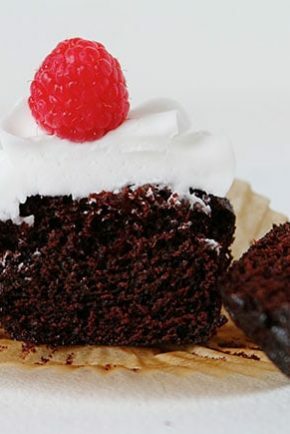 I was planning on baking a chocolate cake for my son’s 2nd birthday on Saturday but then I came across this recipe that I saved on my Pinterest board. My son loves nuts and I think he will go *bananas* for this cake. Looking forward to baking it tomorrow. Thank you for your beautiful blog! I was planning on using my 8inch pans. 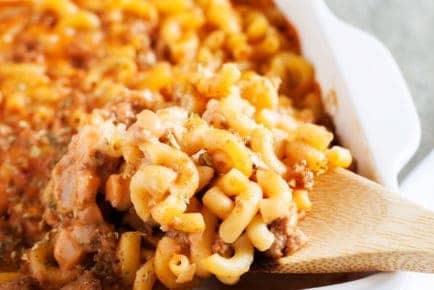 would 2 8 inch pans be to big for this recipe. I want to cut them in half to end up with 4 layers. I’m making this for Easter and decorating the top.